Get started learning to build your own electronics by following our FREE online courses below! Take Me To The Gadgetory! 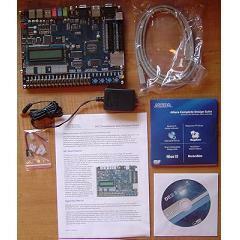 The DE2 board from Altera offers a great introduction for students new to FPGA design. This tutorial provides the first stepping stone by actually programming the de2 & using peripherals on the board. usually undoubtedly necessary, as no other man is going to deal with your life for us. Personally I think that men and women have to be more grounded. Research is great, yet so much of everything we think about is so abstract. Hi friends, how is the whole thing, and what you would like to say regarding this paragraph, iin my view its genuinely amazing in support of me. Check out Pyro's Animatronics DIY Articles and begin your robot army! Copyright © 2007 - 2019 PyroElectro. All Rights Reserved.